Since its establishment in 1998, Daman has proven to be a well-respected, credible financial services provider in the UAE and GCC region. 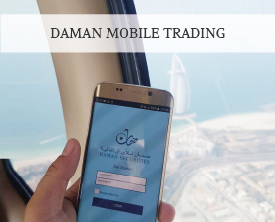 Daman conducts its brokerage business through its wholly-owned subsidiary, Daman Securities, which is duly licensed and fully regulated by the Emirates Securities & Commodities Authority. Our reputation stems from our active support in the development of and participation at the onset of securities trading in the UAE. Our long-standing prudent approach and risk-averse management has enabled Daman to ride through the challenges and not succumb to the credit pitfalls that have beleaguered many brokerage firms over the years. 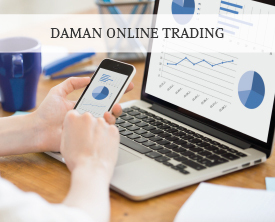 Daman’s brokerage platform has consistently been gaining market share over the last 5 years and has handled over AED 57 billion of trading activity on the Dubai Financial Market and Abu Dhabi Securities Exchange bourses – a further testimony of our professionalism and clients’ trust.